The LE 100 is a high power controller which can drive up to 12 channels of LEDs. It allows a user to control the LEDs and modulate their intensity via any computer or microcontroller. The device is programmable via simple, serial (RS-232) commands via a USB COM port and languages such as Python, Matlab etc. The LE 100 is ideal for evaluating the behavior of the LEDs by changing the PWM (Pulsed Width Modulation) frequencies. 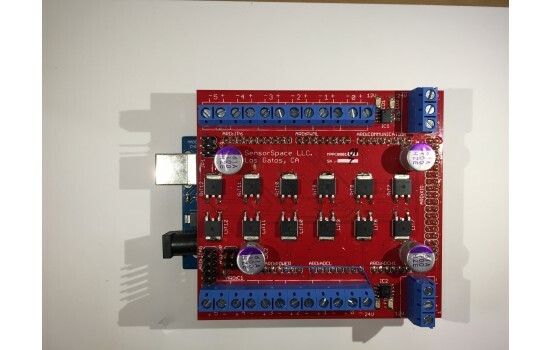 There are 6 independently controllable channels, each with outputs for two sets of LEDs at separate voltages.